Game of Thrones Season 7 isn’t quite under the same secrecy veil as last year, but isn’t about to plant major spoilers with its first photos, either. Nonetheless, at least one shot teases a major prophecy coming to the forefront, and a mad Game of Thrones fan naturally transcribed it for you. It is also written that there are annals in Asshai of such a darkness, and of a hero who fought against it with a red sword. His deeds are said to have been performed before the rise of Valyria, in the earliest age when Old Ghis was first forming its empire. This legend has spread west from Asshai, and the followers of R’hllor claim that this hero was named Azor Ahai, and prophesy his return. In the Jade Compendium, Colloquo Votar recounts a curious legend from Yi Ti, which states that the sun hid its face from the earth for a lifetime, ashamed at something none could discover, and that disaster was averted only by the deeds of a woman with a monkey’s tail. As WiC notes, the paper’s text is lifted almost directly from George R.R. Martin’s tie-in book, with the TV version substituting “Lord of Light” for “R’hllor,” given the infrequency of that name in live-action. 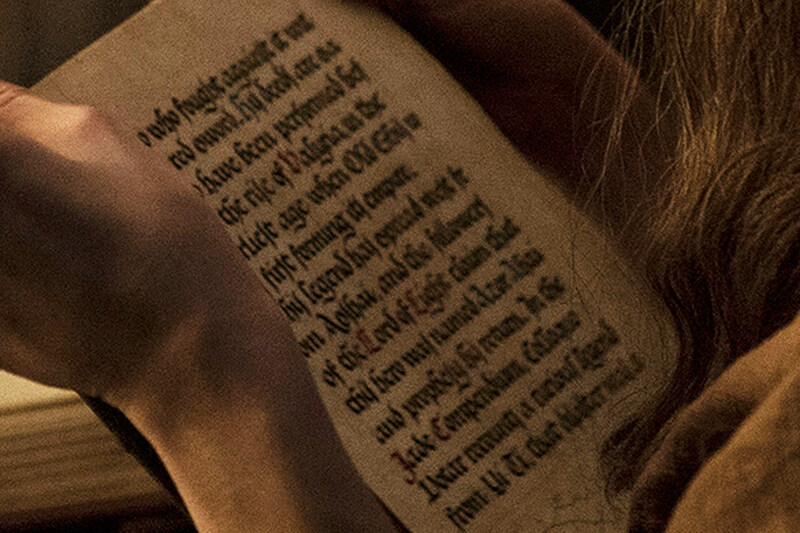 In any case, the prophecy is bound to become a major focus of the final two seasons, with current speculation generally pinning the title on Jon or Daenerys. Or maybe Hot Pie! Come on, that guy’s due for a major arc. We’ll find out when Game of Thrones Season 7 premieres on July 16, but in the meantime, check out the full complement of photos below.